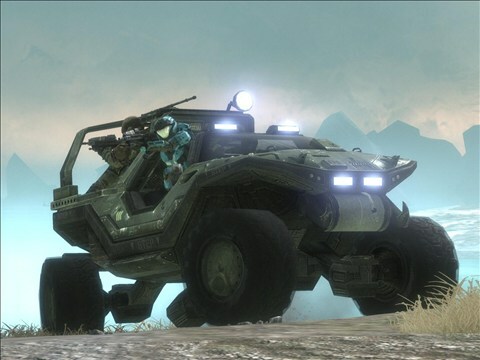 One of the key features that attracted players to the original Halo was the ability to commandeer the UNSC and Covenant vehicles such as the Warthog, Scorpion Tank, Banshee and Ghost. This feature was made even more attractive by many of the vehicles allowing multiple players to "take a ride", truly enhancing the games emphasis, especially on the harder difficulty settings, on teamwork. The Transport-Hog was last seen in Halo: Reach. Over the course of the past 9 Halo games we have seen many vehicles and vehicle variants come and go for both the UNSC and the Covenant, with each game polishing and fine tuning the performance and capabilities of the vehicles, honing them to perfection. Yet, despite the plethora of vehicles we have seen throughout the Halo franchise, no singular game has delivered a truly balanced line-up of vehicles for both sides. For almost each of the UNSC base vehicles there is a Covenant equivalent - for example, while the UNSC have the fast, somewhat wild Mongoose Quadbike the Covenant have the agile yet underpowered Ghost. 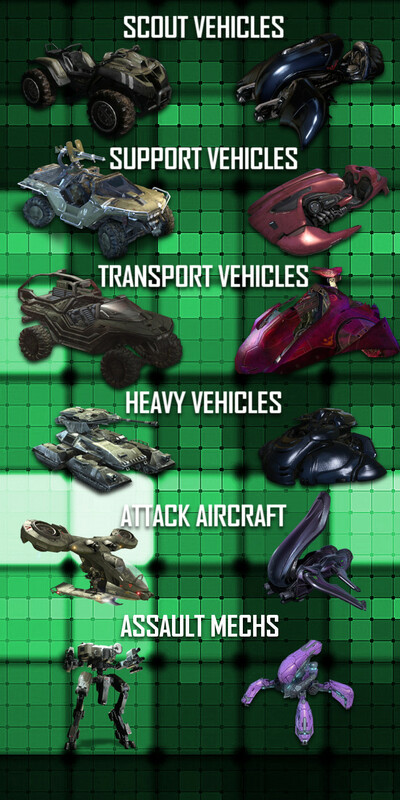 Thus a balanced line up of vehicles for both the UNSC and the Covenant in a future Halo game would be as shown below. UNSC Vehicles and their Covenant Equivalents. In addition to the above vehicles each side would also have indirect access to two other vehicles. While the player would not be able to drive/pilot these vehicles they would be able to call upon their assistance during certain game types using the proposed amendments to the Ordnance Drop ability. These vehicles (pictured below) include the UNSC Pelican and Covenant Phantom, which are used to drop supplies and/or vehicles into the battlefield, and the UNSC Broadswords and Covenant Seraphs, which are used to perform an airstrike against stubborn enemy positions. 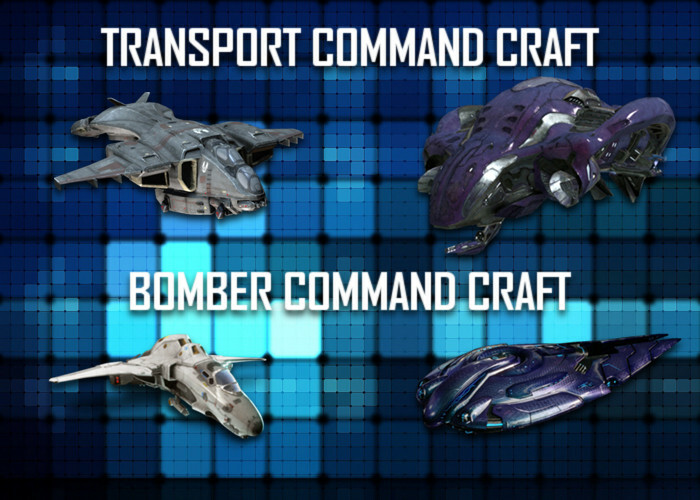 UNSC and Covenant Transport and Bomber Command craft. Previously we mentioned the idea of removing a turret from the back of a Warthog and using it as a weapon akin to what can be done in Halo 4 with the mounted Machine Gun. What if this idea was extended to almost all weapons, within reason, used by vehicles - imagine approaching a destroyed Banshee and removing either one of its Plasma Cannons (which would act just like a Plasma Turret) or its Fuel Rod Cannon. Why a destroyed Banshee? Don't destroyed vehicles disappear? Not if they remained on the battlefield until the wreckage was fully destroyed. Not only could players salvage weapons from the destroyed vehicle but the could also use the vehicle for cover, a barrier against themselves and approaching enemies. Next time in Snorkelbottoms Workshop we will continue with Halo: Ultimate with the first of many posts looking into Halo Forge entitled Forge Playlists! Another awesome addition to the seies Gavin, great work!